Indian Skipper M.S.Dhoni aided by Suresh Raina, guide India to a victory against Zimbabwe in their last group stage match to remain unbeaten in the World Cup, they also recorded a 196 run fifth wicket partnership. Reserve umpire: Steve Davis (Australia). Chasing a challenging 288 at Eden Park, India were in disarray at 92/4 in the 23rd over. But Dhoni (85 not out) and Man-of-the-Match Raina (110 not out) played cautiously to see the defending champions win their sixth consecutive match with eight balls to spare. Put into bat first by the Indians, Zimbabwe struggled due to some brilliant bowling by Indian pacers Mohammed Shami (3/48) and Umesh Yadav (3/43). By the 11th over, Zimbabwe were tottering at 33/3 with all three Indian pacers picking up a wicket each. But Taylor and Williams came to their rescue and put up a significant 93-run fourth-wicket stand to steady their innings. Williams went on to score his 21st half century before he threw his wicket away by giving an easy catch to offie Ashwin. Taylor however did not allow the Blue Caps to exploit the situation any further and took the bowlers to the cleaners resulting in R.Ashwin suffering his worst ODI figures of 10-0-75-1. The wicketkeeper-batsman did not reprieve Ravindra Jadeja (0/71) either as he smashed 25 runs in the 41st over off the left-armer. A 109-run fifth-wicket partnership between Taylor and Craig Ervine (27), which resurrected the Zimbabwean innings, finally came to an end when Taylor was caught at mid-on off Mohit Sharma (3/48). The crowd rose one last time to acknowledge Taylor's contribution as Indian players went up to congratulate him on a fantastic career. For India, pacers came good as Shami, Mohit and Yadav all picked up three wickets each. More importantly, they came back strongly to bowl out Zimbabwe for 287 in what was earlier looking like a 320-par total. On a small ground with shorter straight boundaries, the target wasn't much, given India's strong batting line-up. However, pressure can get the better of any team and it gave jitters to the defending champions who started poorly by losing both openers Rohit Sharma (16) and Shikhar Dhawan (4) early in the infancy of the game with the score at 21. Although Rahane (19) and Kohli (38) recorded a fifty run partnership, India were put into a precarious position at 92/4 in the 23rd over, after they lost their two well settled batsmen. However, Dhoni and Raina engineered the innings when it mattered the most, and rescued India with the highest fifth wicket partnership in the World Cup for India. The stand, not just steadied the ship, but eventually made the chase easy with Dhoni finishing it off in style, hitting a six over deep square-leg, reminding the Indian fans about the fond memories of their 2011 World Cup win at the Wankhede Stadium. India was assisted by some sloppy fielding from Zimbabwe who dropped a sitter or two let Raina score his fifth One-Day International (ODI) century. He stroked nine boundaries and four sixes in his 104-ball innings to up the ante. 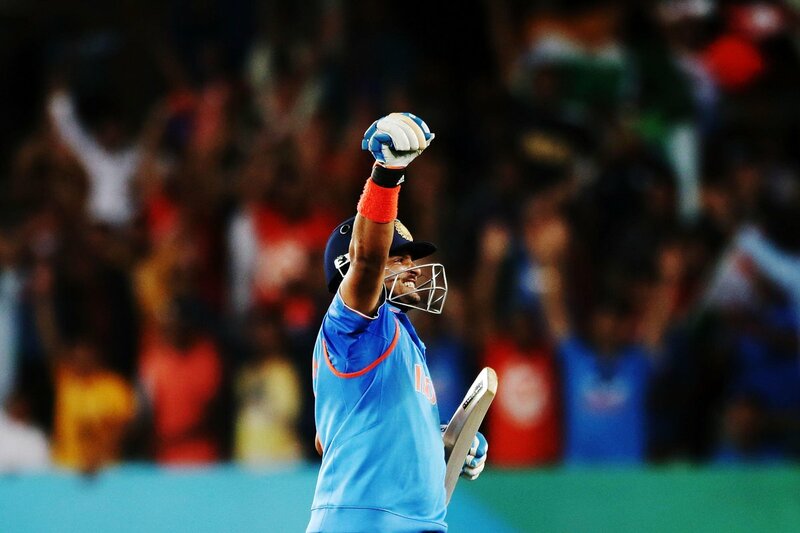 Dhoni played a typical knock and also supported Raina who became the Hero of the day. Zimbabwe could have put more pressure on the Indians in the penultimate overs, though they did not allow India to cruise to an easy victory and made them sweat hard to remain unbeaten. Who would have thought that Zimbabwe would give India nightmare’s and get the better of them? But Cricket is an unpredictable game, and one can expect the unexpected. Brendan Taylor made sure that his last game for Zimbabwe did count and he was the one who pressurized the Indian bowlers, who had so far been at their best. Zimbabwe’s innings heavily depended on Taylor and Williams also aided him, the bowling unit took early wickets and made India fumble early in the game, the fielding was top class except that they dropped Suresh Raina’s crucial catch which caused their nemesis. Zimbabwe could have repeated history and left the tournament with their heads held high, if they would have debarred the Indians from taking frequent single’s and finding the gaps. The Indian bowling was hammered by Brendan Taylor and Co, Ashwin recorded his worst record in the world cup and even Jadeja and the other bowlers weren’t spared. The early collapse of the batting line up gave much exposure to the middle order, Raina and Dhoni crafted the innings & achieved their target of winnings all six matches in their world cup expedition. The fielding was proficient and warded off many boundaries. With the win, Dhoni overtook legendary Clive Lloyd in the list of most consecutive wins in World Cups as captain, with 10 in a row. Only Australia's Ricky Ponting, with 24 wins, is ahead. India achieved another major milestone with their highest successful run-chase in Cup history, not to mention their 10th consecutive World Cup win. 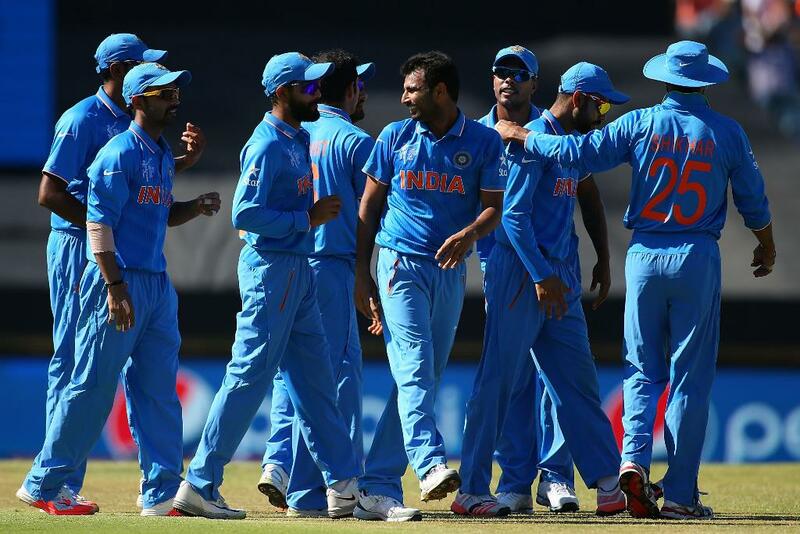 India sneak past Zimbabwe in the cricket World Cup.